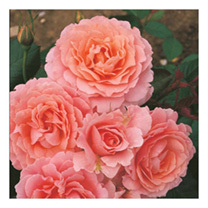 A touch of old-world charm in a modern rose that's a delight to grow. It's a natural for cottage gardens, ideal for mixed borders. The perfume is strong and fruity. Scent 8. Colour - pink. Height 90cm. Bush variety. Supplied in a 4 litre pot.